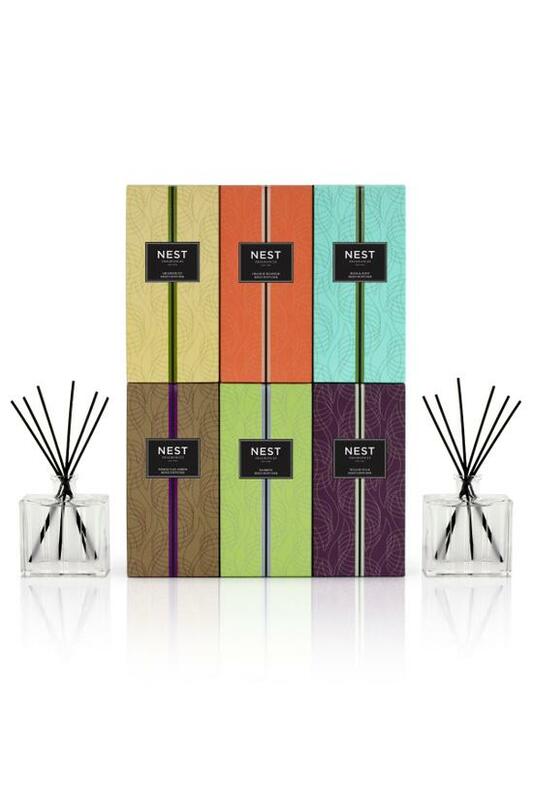 Carefully crafted with the highest quality fragrance oils, NEST Fragrances Reed Diffusers are designed to continuously fill your home with lush, memorable fragrance around the clock while adding an element of style to any decor. The premium formula releases fragrance slowly and evenly into the air for approximately 90 days. Apriot Tea: English apricot is wrapped in the richness of black tea leaves and combined with bergamot and golden amber. Remove diffuser and reeds from box. Always use your reed diffuser on a stable surface. Remove the bottle stopper and place the hand crafted reeds in the bottle. To intensify the fragrance, occasionally flip the reeds over and replace in bottle.